After swings in the Middle East, Latin America and the United States the tennis world is reconvening on Europe's outdoor clay courts for L'Autoroute A Roland Garros (The Highway to Roland Garros). While all eyes will eventually be on the famed terre battue of the French capital, before we reach the end of the highway there are cash and tradition rich events scheduled in Monte Carlo, Stuttgart, Madrid and Rome among other locales. Here is our look at the ten most important players to keep an eye on as the dirtball, err clay court season unfolds. 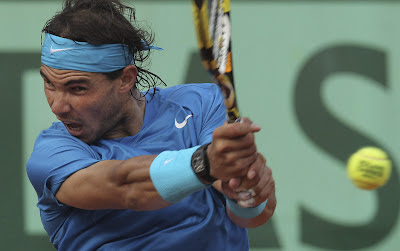 There are a number of Spaniards with the clay prowess to produce strong results this time of the year, but none of them, Rafael Nadal included, have the momentum that Nicolas Almagro does right now. 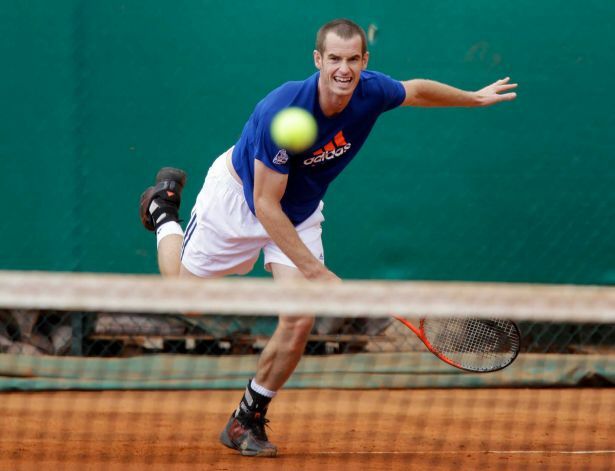 The 12th ranked player from Murcia won eleven consecutive matches on the Latin American "Golden Swing" taking the clay court titles in Buenos Aires and Sao Paulo before falling to compatriot Fernando Verdasco in Acapulco. Almagro's also an impressive 4-0 in Davis Cup ties this year, spelling his resting teammates David Ferrer (1st round) and Nadal (1st & 2nd rounds). When Almagro debuted on tour, some tour watchers dubbed him the next Nadal (never mind Nadal is about a year younger) for his prowess on clay. The comparisons to a young Nadal are in some ways apt as all eleven titles Almagro's ever captured have come on the red clay. That said, time is running out for Almagro to make anything near a Nadal-like impact on the ATP tour. At 26, he's physically at his peak and has to know that his window to make the long awaited breakthrough is shrinking. The road to the Roland Garros title will no doubt go through the ATP's top four players, but if they simultaneously falter, Almagro's squarely among that next tier of players with a real chance of winning his way through the clay court season. Unlike Almagro, who's on the list as a product of recent momentum; when the spotlight has been on Samantha Stosur this year, the Aussie has wilted. What should have been an inspiring homecoming tour, after claiming the 2011 US Open title, turned into a nightmare for Stosur. She finished the Aussie swing a dispiriting 1-3 bombing out of consecutive matches to Iveta Benesova, Francesca Schiavone and then Sorana Cirstea in the first round of her home major, the Australian Open. Worse yet, she didn't even claim a set in the three matches. On paper, those aren't terrible losses, but in your home country, as a recent major champion and Top 10 player...yeah, terrible. Stosur rebounded a bit on the green clay of Charleston before being all but embarrassed by an inspired Serena Williams 6-1, 6-1 in a blink-and-you-missed-it semifinal. Stosur seems to play her best tennis far away from the pressure of her home Aussie fans and on the clay. In 2010, she was the champion in Charleston, a finalist in Stuttgart and at Roland Garros, losing the final to Schiavone. While she was upset early at Roland Garros last year, she was a finalist in Rome. At this point, the US Open hangover has to be wearing off, and the tennis we saw from Stosur in Charleston was assured until she faced the Serena blitzkrieg. While there are a number of women who CAN contend for the big clay court titles this year, Stosur is the active player with the best pedigree on the surface. That, and she now has the experience of winning a major under her belt. While she's far from a sure thing, Stosur is not to be overlooked this spring. Big Johnny Isner is the best bet for an American man to win a major since Andy Roddick at that ultimately ill-fated Wimbledon in 2009. 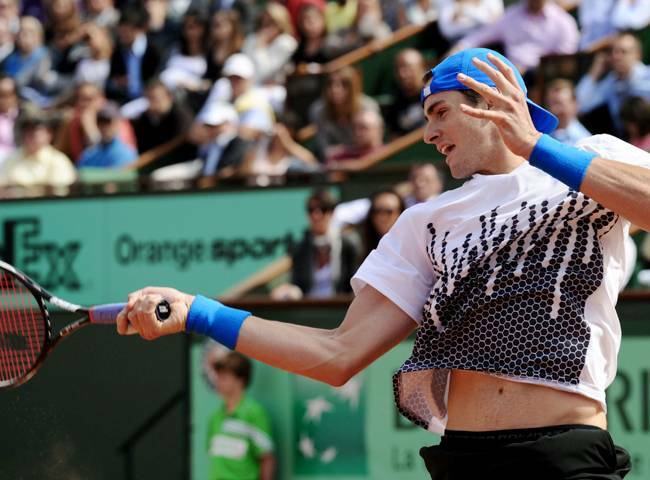 When Isner last played at Roland Garros he faced Rafael Nadal and lost, no shame in that. Quite the opposite, seeing as the then top-ranked Spaniard merely outlasted Isner 6-4 in the fifth set of his first rounder and then went on to win the tournament. Longtime World No. 1 Roger Federer was less lucky, facing Isner on indoor clay in his native Switzerland, falling in four listless sets in a Davis Cup tie two months ago. Looking just as Isner's two Davis Cup ties this year, both held on clay, he's beaten Federer, Jo-Wilfried Tsonga and Gilles Simon. If that doesn't sound like a second week gauntlet at Roland Garros (prior to facing a Djokovic or Nadal in the final of course), I don't know what does. Isner made a curious decision to leave Europe and play the Houston clay court event rather than take his place in the stacked Monte Carlo field and extend his stay in Europe by another week or two. Mathematically, it would make sense if he won the tournament, unfortunately, he fell in he final to Argentine Juan Monaco. Isner's move to skip Monte Carlo can either be read as keeping himself mentally fresh for a long road trip that probably won't see him on US soil again until after Wimbledon; or alternatively, as a sign that the mental grind of being in Europe is as likely to fell him as the physical one. We'll see which way his season turns, but it's hard not to see that the big man has tremendous upside. A fellow blogger recently asked me what Andy Murray needed to do to win a major, the only logical response to was "Stay Ready." Andy Murray has basically done everything he can to be a major champion. He's just sitting behind a triumvirate of future Hall of Famers who are all playing near their best tennis. We all know that already. Andy Murray can and has beaten each of the big three multiple times. We all know that already. We all know he hired a guy who used to be a pretty good player to be his coach too, even better than that Gilbert guy he used to work with. So what do we still need to learn? How about this, despite the fact he's won eight Masters 1000 titles, on clay, his best results have been three semifinal appearances. While Murray has done well on the hardcourt Masters, his clay record has comparatively disappointed. How much so? Well, his record at the clay Masters 1000s is a combined , relatively unimpressive, 21-17. For a man who's always talked of being comfortable on the red stuff, that and his 38-26 overall record on the clay is rather damning. Andy Murray is too good a player not to turn that around at some point. Isn't he? If this were any other surface, we'd have probably ranked her higher. If this were any other player, we'd have probably ranked her lower. But we're talking clay, and we're talking Serena Williams so this seems about right. This latest version of La Serena seems more capable than her predecessors of throwing in puzzlingly poor performances one week, while imitating her utterly dominant younger self the next. Serena Williams has always been a paradox to the tennis twitterati, but of late it's her on-court results, as opposed to her outside interests, that people aren't quite sure how to interpret. With Justine Henin retired (again) and the last four Roland Garros champions (Li Na/Na Li, Schiavone, Svetlana Kuznetsova and Ana Ivanovic) all reeling, the only former champion with a snowball's chance in hell of winning this tournament is 2002 champion Serena Williams. Not that Serena's clay bonafides are well burnished; since 2005, Serena has only played ten or more matches on clay in a season twice. That makes her verbalizing the intent to play, not only Charleston where she won this year, but Madrid and Rome (after a Fed Cup tie in the Ukraine) before Roland Garros interesting. Serena, after years of calls from former players and commentators, seems to finally be chasing history. Serena's in better shape than we've seen her in years, and with a plan to get plenty match tough before Roland Garros, she's a contender to have a strong run on the clay this year. The loss to Stosur in the US Open final doesn't seem to have sat well and her injury-hampered run at the Australian Open this year seems to smart more than earlier losses. Then Serena had time, a surplus of it, it seemed. At least enough for her to take acting lessons and become a presence on the Home Shopping Network. Now, she knows that if she doesn't call now, she might miss her chance. Slam-earning Suzanne Lenglen trophy. If we were in Vegas during last year's Roland Garros semis, we would still be working off our debt at the sportsbook. If you had shown us a draw with Sharapova against Li Na/Na Li in the semis and then facing the winner of Schiavone vs. Marion Bartoli for a major championship, we would have taken the Siberian siren every single time. Therein lies the rub, Sharapova seems to grit her way through all the early contests, just to find a way to lose in finals of late. For all the deserved credit Sharapova gets for being a steely competitor, she is just 2-8 in her last ten finals. Still, she's not the WTA's biggest question mark, not by a country mile. Here's the question, who's best equipped to stop Sharapova from winning all the way through Paris? Serena, maybe; as long as she doesn't have an off day. Petra? 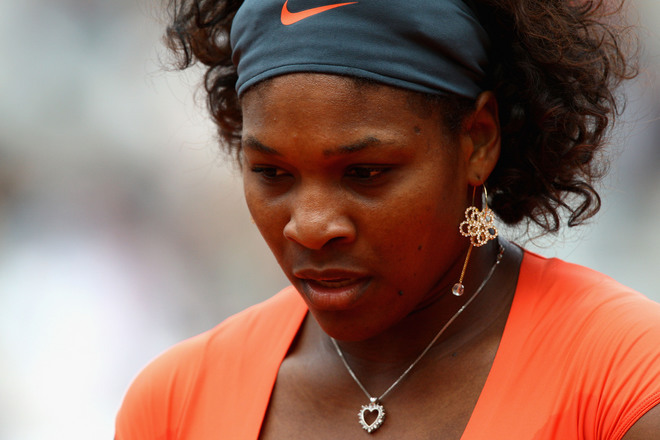 We like her on fast courts, but her inconsistency is likely to blunt her effectiveness on clay. Vika? Like Sharapova, she hasn't had her best results on the surface, even though she will compete well enough to turn back most challengers. The question for Maria this clay court season isn't "Why?" It's "Why not?" If you're counting this guy out, you're not only a questionable tennis fan, but likely of questionable intellect as well. Sorry, it has to be said. Yes, it's been more than two years since Federer last tasted major glory, but as his run to the Indian Wells title earlier this year proved, the "old guy" isn't quite ready to be a full-time, stay-at-home dad. His 23-3 record on the year is only second to that of World No. 1 Novak Djokovic. He's one of only three past Roland Garros champs still active on the tour (Wait, don't go to Wikipedia, the "other guy" is 2003 champ, and now 46th ranked, Juan Carlos Ferrero). He's also salivating at the prospect of going into a clay season with Djokovic and Nadal potentially at less than their best. 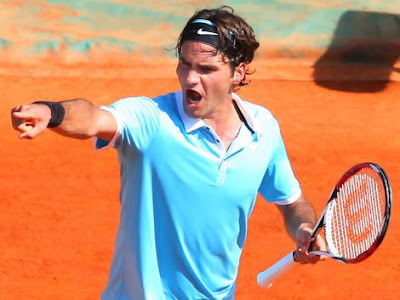 It's not that Federer needs sub-optimal competition to win his way through the clay court season, but if those two men aren't on their respective games, Federer becomes a prohibitive favorite. The biggest question mark for Federer is what emphasis is he putting on this year's clay court season. He's skipping the (optional) Masters 1000 at Monte Carlo, he's also not going to Estoril to ramp up his game as he sometimes has. No, Federer is taking a short route to Roland Garros, Madrid, Rome, Paris, that's it. His mind seems already pointed toward the unique Wimbledon double, The Championships, plus this year's Olympic games. Federer has historically played some of his best ball following a layoff, but will he be saving his best tennis for Paris, or giving his rivals an opportunity to build momentum that even The Mighty Fed can't stop? OK, so she's not going to be Robo-Nole 2.0. Azarenka suffered her first loss of the year in the Miami tournament where she previously had some of her best results, some three months before Djokovic lost his first match of the season a year prior. Yes, Marion Bartoli proved that Azarenka was in fact mortal beating the Bella Belarussian in Miami. Nonetheless, over the first three months of the season, Vikarenka has done a remarkable job filling the longstanding power vacuum on the WTA Tour. The question mark for Azarenka, is she a stand-in? Is she like Ana Ivanovic, Jelena Jankovic, Dinara Safina, Caroline Wozniacki, essentially a paper tiger managing some big wins as a transitionary figure before the next (or prior) round of "real" champions ascends to the throne? On the positive side, Azarenka's rise has been rather steady, she's no Jenny-come-lately, spending her fourth year among the Top 10. She's also finally matched her big game forehands with a big game mentality that's made her a champion. On the negative side, while she had a solid run on the clay last year (title in Marbella; final in Madrid), her 11-6 record at Roland Garros doesn't exactly have you tipping her for the Roland Garros title just yet. That's OK, she's got a few tournaments to rewrite the narrative, just like she did coming into Australia. Last year, it was about this time that all the "No-Djok" puns started. It was on the clay that Novak Djokovic revealed himself as more than just a huge hardcourt talent; more than just a consistent threat to the Fedal hegemony. While he didn't win the season's biggest prize at Roland Garros, capturing the Masters titles in Rome and Madrid, over a healthy Rafael Nadal in the finals, established Djokovic as a man for all seasons and formed the basis of his eventual and long anticipated ascension to World No. 1. I asserted in an earlier post that the Australian Open often plays out more like a coda to the prior year than the beginning of a new season. To wit, this year's Australian Open was a struggle to the (near) death between the primary combatants of the 2011 tour. As with all of 2011, Djokovic would ultimately win the tussle and the big trophy. Djokovic in 2012 has seemed inconsistent, but in his defense, he has only played four tournaments. He's still opened the year at 20-2. Losses to Andy Murray and John Isner aren't exactly bad losses, unless you remember that in 2011 he didn't see his second loss until August. This year the second loss came before the start of spring. Nonetheless, history beckons. Djokovic needs to win Roland Garros and he needs to win it now. He needs to win it to become the first man since Rod Laver (not Roger Federer, not Rafa Nadal, not Pete Sampras, but Rocket Rod Laver) to hold all four majors at once. He needs to win it to join his career rivals Federer and Nadal as holders of the Career Grand Slam (Djokovic would be only the eighth man in the nearly 90 year history of the Grand Slam to do so.) He's even scheduled to skip the Djokovic Invitational (aka Serbia Open) in a bid to come into Roland Garros in peak form. Djokovic's performance along the Autoroute A Roland Garros is a huge story, but he knows he needs to peak for its namesake tourney; whatever we see between now and then is almost inconsequential. Let me be clear, I'm not necessarily saying that Rafael Nadal is going to win at Roland Garros. It's too early to make any predictions in earnest. I am saying that whether he wins every place he plays through Roland Garros or never catches fire, this clay court swing will be all about Nadal. In fact, it will be about him just like it has been for the last eight years. There are some who will want to wait to see if Nadal wins a seventh Roland Garros title, passing Bjorn Borg, before annointing him as the greatest clay court player ever. There are some who will not care if Rafa takes home a tenth Coupe des Mousquetaires before he hangs up his black and yellow Babolat, they will say Guillermo Vilas was the best on the dirt. Well, opinions are opinions. Facts are facts. Repeat after me: The clay court season is all about Rafa Nadal. If his knees are in shape; if Djokovic can't repeat last year's magic; if the Federer resurgence was limited to faster courts, ergo if Nadal wins his way through, it will be coronation of the Spaniard; a celebration of his fantastic streak and a reminder that as great as his rivals have been in recent months, the Man from Mallorca won't be hanging up the "Gone Fishin" sign anytime soon. If the fire isn't there; if the rivals find his kryptonite; if his body breaks down; if he can't sustain his mental focus, then this claycourt season could mark the end of one of the most dominant stretches in the sport's storied history and perhaps the beginning of a global appreciation of Nadal as more than the man who dulled Federer's brilliance, but as the similarly impressive yin to the Swiss champion's yang. Whichever way this clay court swing plays out, no matter who wins what, it will all be about Nadal...and he's earned the mantle. Well-made identical ensure it is difficult to share with the particular breitling replica among an actual factor plus a knock-off if you can't analyze the specific components with the merchandise up close. If the identical are usually practically the same to be able to the real thing, then you could help make excellent funds coming from buying the particular duplicate market. Nonetheless, it really is against the law to employ a fake omega trademarked manufacturer. Additionally it is against the law to employ a watch’s layout. Equally these kinds of features are usually copyrighted for the watch’s authentic maker. It is estimated that the particular duplicate market brings about any anyone to a few billion money damage every year for the genuine omega replica sale. Many duplicate things are manufactured inside Cina. Several are manufactured together with several precious metals and also components (just like rare metal and also buckskin) and also they're called "high-end duplicate. " Other folks usually are not made out of virtually any treasured components and so are called "low-end duplicate. " At times the particular duplicate are usually less costly compared to the manufacturer by way of a extremely considerable sum, and also at times duplicate are only less costly compared to the brand name iwc replica uk simply by slightly. The particular last option will be the one that is normally advertised (falsely) since the real deal. Those who find themselves productive inside the duplicate market has to be extremely fashion-savvy and also will need to have an excellent comprehension of the particular breitling replica uk continually increasing styles.